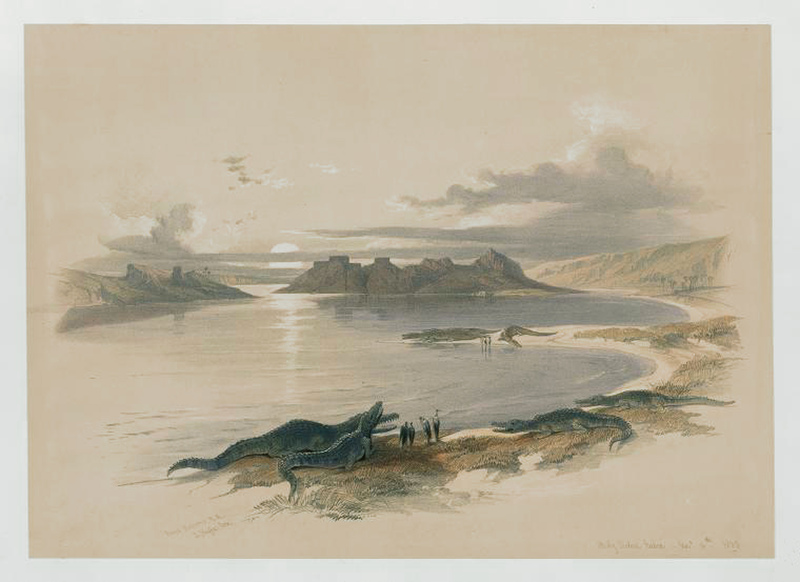 Comments: Roberts was fascinated with the crocodiles encountered along the Nile, and this is the only lithograph in the series depicting them, posed against he setting sun. Title: Scene on the Nile Near Wady Dabod, with Crocodiles. Image: 9 7/8" x 13 13/16"